...Well almost free. This is my first time here. I met a few guys at the Friday meetup in Lynnwood, WA two weeks ago and they told me I should post some pics of my car here. So here I am. I just recently "acquired" a fully restored 1970 'Cuda from an ole timer with a few collector cars on his hands and nowhere to store them. 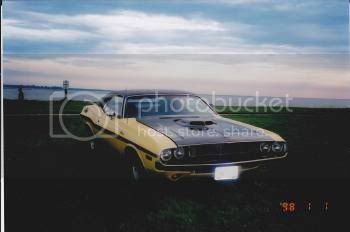 He came into my store one day and offered to trade me his Cuda for a piece of art work. I said, "Cuda? What's that?" Well, needless to say, a few days later we signed the deal and now I am a proud new owner of a Barracuda in mint condition! 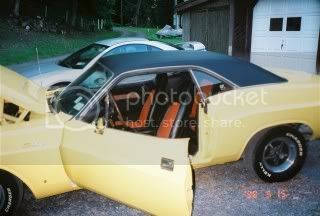 I never would have thought in a million years I'd be interested in owning a classic muscle car. All the Mopar fellas that I run into keep telling me I need to enter this thing in some shows but I hardly know anything about my new Cuda let alone cars! I guess I gotta start somewhere, right? I'm looking forward to my new found hobby and would love it if you guys here could offer any insight on my new baby. guess thats it in your avatar? got anymore pics? oh and some guys have all the luck! Looks to me like you traded one piece of art for another . I said, "Cuda? What's that?" Thanks for the chuckle - and welcome. 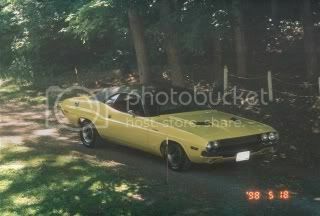 You did good, in my opinion you have just come into possesion of one of the most sought after muscle cars ever built. Feel free to ask anything. Well I think someone has to ask so here goes, what was this fine piece of art work you traded ? Congrats on the trade. 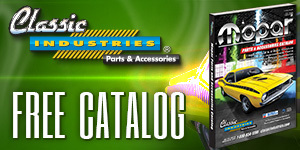 You are definately on the best site in the world for Cuda owners. Welcome. Definitely a great score. So what did you give up for it?? Art that you did?? How bout some pics of your new ride. We love pictures. Welcome to CC.com!! Sounds like a sweet deal to me. Did you paint the art piece? 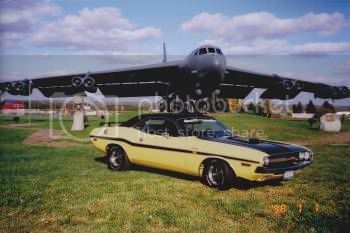 Welcome to the cuda-challenger.com site. That is one fine Cuda there. You must be some kinda artist to score a trade of your art for that beautiful car. I look forward to seeing your car up at the Lynnwood, WA Taco Time one of these spring/summer Friday nights (I'm just to the west in Edmonds). 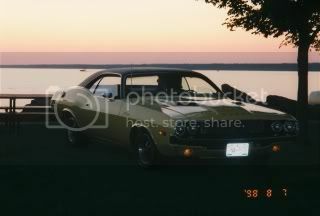 There are a couple of local Mopar clubs in the area (try moparsunlimited.com). Maybe we can meet up at the first big Mopar show at Mariner High School in south Everett on June 7th. You got one fine piece of automotive art. Sounds like you got a great story to tell the grand kids. As requested, here is "Melody", the beauty I traded for another beauty. The first picture was taken while she was displayed at my shop. The second photo is her mounted in the ole' timer's bedroom wall above his fireplace. Was she worth the trade for a 'Cuda?? ?